I'm celebrating outlaws of the old west this month. 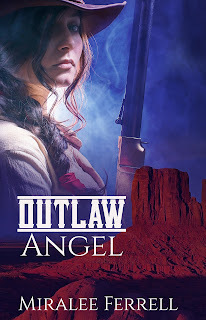 Okay, so I'm not REALLY celebrating the outlaws, but rather the re-release of an older title of mine late this month under the new title, Outlaw Angel (first publ as Love Finds You in Sundance, Wyoming). And since it's set outside of Sundance, famous for the Sundance Kid, I thought it would be fun to explore the backgrounds of Sundance and his pal, Butch. Did any of you ever watch the movie starring Robert Redford and Paul Newman? It's one of my all-time favorite westerns, truly a classic. And fun, to boot! I realize the writers probably took a bit of creative liberty with the historical aspect of that movie, but hey, it's entertainment, right? In fact, here's a fun short clip from the movie from YouTube. grandparents were Mormon, and settled in Beaver, Utah where they started farming and raising cattle. The story goes that his Parker's (Butch) first run-in with the law was at the age of 13. He'd started working for a neighboring ranch to help bring in money for his large family. He rode to a nearby store to buy a new pair of overalls for work, but the store was closed. He broke in, took the overalls, but left a note explaining he'd come back when they were open to pay. The storekeeper had him arrested, and this left Parker holding a grudge against authority, possibly the trigger that set him on the wrong side of the law. 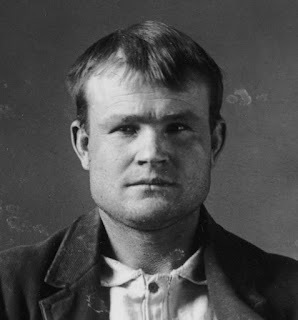 Here's a mug shot of Parker (Butch Cassidy) after one of his run-ins with the law. As an older teen he worked for a rancher who taught him to ride and shoot, but the man, Mike Cassidy, got into trouble with the law and fled the area. 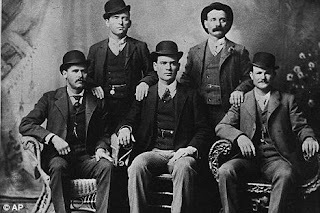 Several years later, at the age of 23, Parker took part in his first train robbery, where he and a couple of cohorts got away with the tidy sum of $20,000.00, a huge sum during that time period, Parker changed his last name to Cassidy, whether to protect his family name, honor his mentor, or both, no one knows. The nickname of Butch may have come a little later while working at a butcher shop in Wyoming. The Sundance Kid was born Harry Alonzo Longabaugh and got his outlaw start along with his nickname and an 18-month jail term in 1887, after stealing a horse near Sundance, Wyoming. Sundance met the woman who would become his companion, Etta Place, and later became affiliated with the Wild Bunch, which Butch Cassidy had also joined. 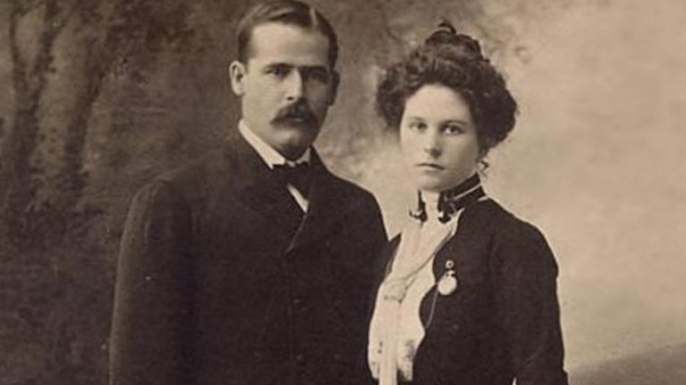 Sundance and Etta lived in a tent near Butch at Robber's Roost, a remote outlaw hideout in SE Utah for a time while pulling off train robberies and other crimes. Although the academy-award-winning movie depicted Sundance and Cassidy as best friends, they actually weren't. 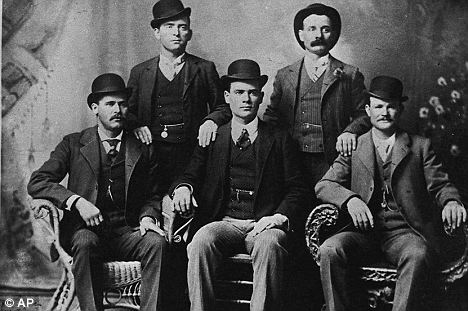 They worked together, but Cassidy's best friend was another outlaw member of the Wild Bunch, William 'Elsy' Lay. Ten years later, during a train robbery in 1899, Lay killed a sheriff and was given a life sentence, but was released in 1906 after helping stop a prison riot. while seeking amnesty from the governor of Utah. His request denied, the famous robber continued his life of crime—without his trusty revolver. A gun once owned by the legendary train and bank robber Robert LeRoy Parker, better known as Butch Cassidy, fetched $175,000 at auction. 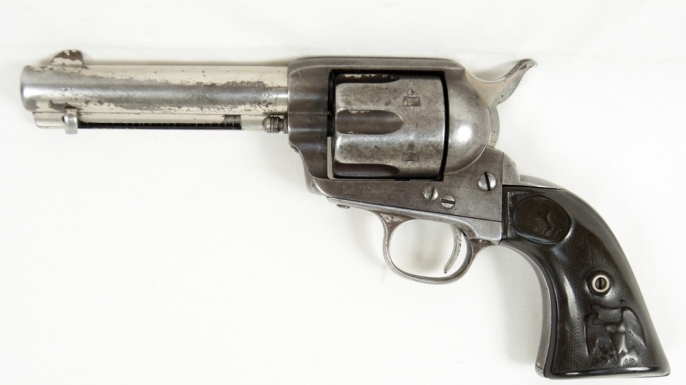 According to reports, the Colt .45 went to an anonymous online bidder. Owned by the famous bandit in the late 1890s, the revolver was described in a video released by its auctioneers as “the most fully documented Butch Cassidy gun in existence.” Along with its strong paper trail, the amnesty Colt’s unique characteristics have piqued the interest of collectors and historians. Most intriguing are numbers scratched inside the gun’s right grip, which some believe are the combination to an undiscovered safe in a Denver bank. fled to Bolivia in 1901. The Pinkerton Agency sent a notice to banks there to be on the lookout for the two men. Eventually, their hideout was discovered and a battle ensued. However, when a man later identified the bodies, there was speculation whether the two men killed were actually Sundance and Cassidy. Although descriptions of the deceased bandits bore some resemblance to the legendary robbers, no photographs of the bodies were ever taken to provide proof. 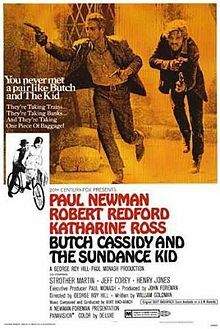 With no conclusive evidence to confirm the deaths of Butch Cassidy and the Sundance Kid, rumors took root that the pair had once again eluded the long arm of the law, and sightings of the duo in South America, Mexico and the United States continued for decades to come. Family members fueled the stories by insisting that the men had never been killed and instead returned to the United States to live into old age. 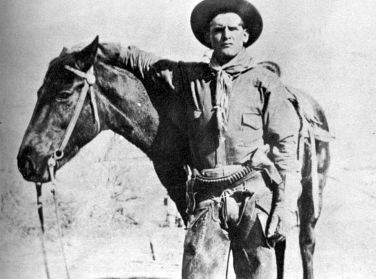 Cassidy’s sister, Lula Parker Betenson, wrote in her 1975 book “Butch Cassidy, My Brother” that the outlaw had returned to the family ranch in Circleville, Utah, in 1925 to visit his ailing father and attend a family wedding. According to Betenson, Cassidy told the family that a friend of his had planted the story that one of the men killed in Bolivia was him so that he would no longer be pursued. She claimed that Cassidy lived in the state of Washington under an alias until his death in 1937. Betenson said her brother was buried in an unmarked grave in a location that was kept a family secret. Angel Ramirez is tired of living a lie. But can she learn to live like a lady? Miralee Ferrell is a best-selling and award-winning author with 19 books to her credit and another releasing this year. She lives in Washington state with her husband, two dogs, 2 cats, and 14 chickens, and loves traveling to various places for historical research. You can connect with Miralee, learn more about her books, and sign up for her newsletter at her website, or join her author group on Facebook. Thanks for the interesting post. 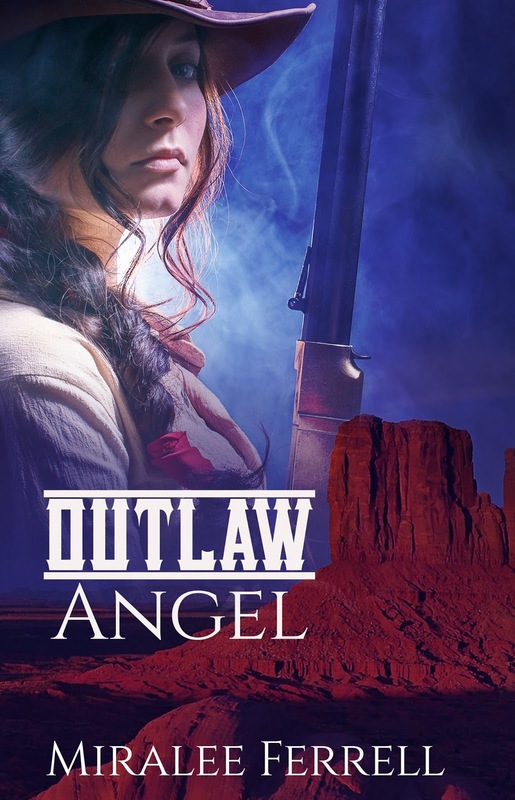 Outlaw Angel sounds really good. Thank you for sharing, Miralee. So very interesting! I am guilty of loving the bad guys of the old westerns! Enjoyed the blast from the past and your story sounds intriguing! Thanks, everyone! Outlaw Angel is one of my favorite books I've written. If you love a good western, I think you'll enjoy it. Yes, it's hard not to like some bad guys--or maybe I should say they are the ones we love to hate, LOL! Thanks for stopping by! Congratulations on the release of Outlaw Angel. (I enjoyed reading it as LFY in Sundance, Wyoming). Wow, thanks for sharing the photos and the information. I learned a lot. I'm glad I saw your post about this article, Miralee. I knew some of this (their not being best friends, fleeing to Bolivia, and their subsequent deaths in question), but the rest was new. Thanks!